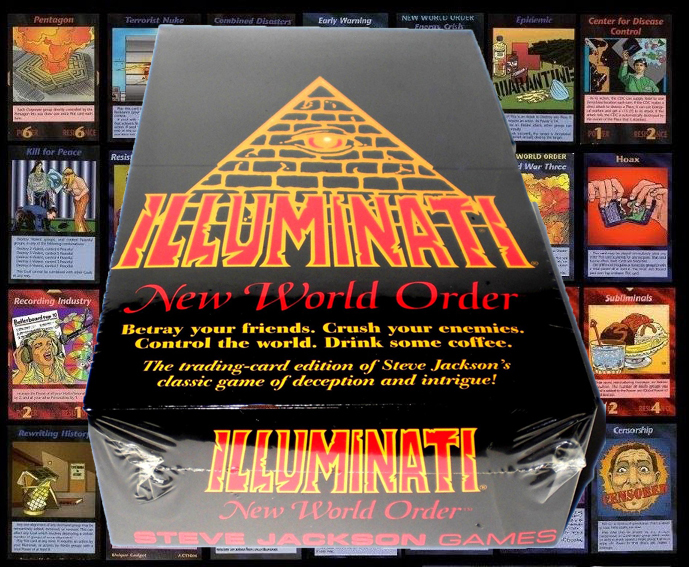 This Illuminati New World Order Card Game by Steve Jackson came out in 1981. This game has predicted 9/11, Princess Diana’s death, oil spills, Lady Gaga, the pentagon attacks, Fukushima, and it even predicts President Obama’s assassination. Although this games predictions are totally just a coincidence, foil hat wearers everywhere are in agreement that Steve Jackson must have had insider information when he created this game. I suggest that if you want to be prepared for the next global catastrophe that plunges America back into the dark ages then you purchase the Illuminati Card Game. You can start brushing up on the future world events that have yet to happen. This game is insanely rare, and super expensive, but we are just talking about your future survival here, and the survival of your future generations of offspring. Can you really afford to not pack the Illuminati New World Order Card Game in your bug out bag? I didn’t think so. This is the perfect gift idea for the prepper, survivalist, or conspiracy theorist in your life. Gamers, nerds, and even Wil Wheaton will appreciate how rare and fantastic the Illuminati New World Order Card Game really is.